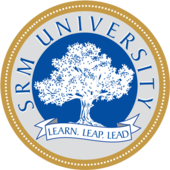 I am looking for the images of SRM University logo . Will you please provide it ? The SRM University was came into existence in the year 1986 . It is recognized by UGC . It is located at Kattankulathur, Kancheepuram, Tamil Nadu .